Autocephaly means that the Ukrainian Orthodox will no longer have to depend on the jurisdiction of Moscow. The possibility of a schism is whispered. But this is unlikely: it is administrative and not dogmatic. The claim of primacy by Constantinople. Ethnophyletism, the disease of orthodoxy. An analysis of the meeting between the two patriarchs. Istanbul (AsiaNews) - The meeting between the ecumenical patriarch Bartholomew and the patriarch of all the Russias Kirill, on 31st August at the Phanar, lasted just over three hours. The topic was the discussion or exchange of opinions "on bilateral issues", but the most burning issue that the whole Orthodox world talks about is that of autocephaly to the Ukrainian Orthodox Church. The request was presented to the ecumenical patriarchate by the Ukrainians last April. Autocephaly means granting the patriarchate of Kiev the right to manage ecclesiastical affairs on its own and not depend on the jurisdiction of Moscow. As already stated by AsiaNews, the meeting between Bartholomew and Kirill was "fruitful", "cordial", "sincere". But beyond the news, some considerations must be made. First of all because of the visit, requested by Kirill himself. The answer is simple: Moscow has perceived that the separation of the Ukrainian Church is a fact that is now unavoidable. As a result, almost 30 million - many would be the Orthodox faithful of the Ukrainian ethnic group - plus their diaspora will refer to the patriarchate of Kiev and no longer in Moscow. Kirill has had to put aside the superb superiority towards Constantinople and has rushed to Bartholomew. But a few weeks earlier, he had tried to get Putin to phone Ankara, to stop Bartholomew in the procedures for the granting of autocephaly to Kiev. 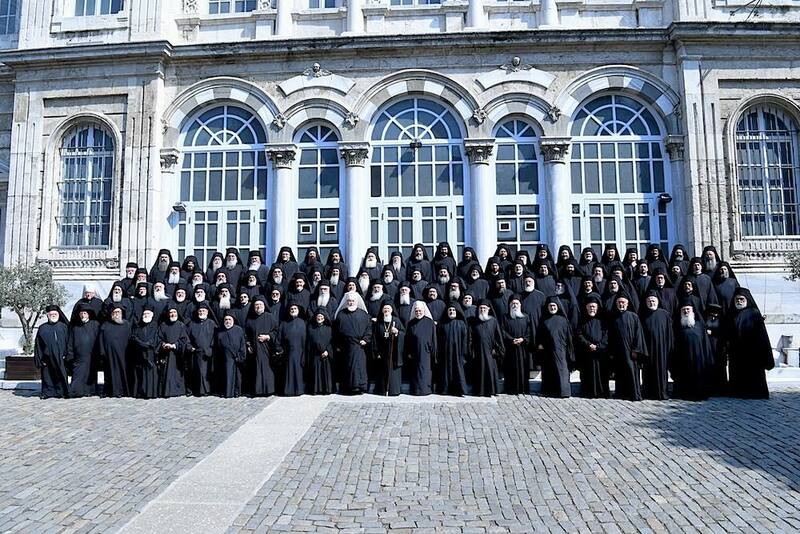 The Metropolitan of France, Emanouel, eloquently said at the end of the meeting between the two patriarchs: "The ecumenical patriarchate does not threaten anyone, but neither accepts threats from anyone". He also noted the long experience of Constantinople as the mother Church of the Orthodox world. 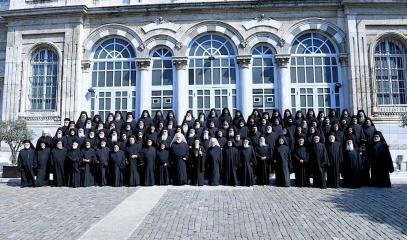 Two days ago, at the conclusion of the syntax of the 100 metropolitans of the ecumenical patriarchate spread throughout the world (see picture 2), Bartholomew himself said: "If during the first millennium the Church had to face the question of heresies, in the second millennium to date, the phenomenon of ethnophyletism has emerged, wishing to erase a long Oriental tradition until it looks like a Church without a shepherd. Our strength - concluded Bartholomew - is exhausted in the exercise of the diakonia in the service of the Mystery of the Church and not in the pursuit of the exercise of a secular power, imbued with pride". Moscow seems to have understood that it was a great mistake not to have participated in the work of the Pan-Orthodox Synod of Crete in June 2016, withdrawing a week before the beginning of the work. There had been discussion of the future of the Orthodox planet, of its relations with other Christian confessions, of inter-religious dialogue, of the future of the world, but also of relations between the Orthodox Churches, the Diaspora, the granting of autonomy and autocephaly. It should be remembered that according to the canons of the Eastern Church, the granting of autocephaly has always been the prerogative of the ecumenical patriarchate of Constantinople. Moscow also received it from Constantinople in 1589. And it received it - even though removed by the patriarch Jeremiah II - as a result of pressure from the political power in Moscow, which at the time had proclaimed itself the third Rome. 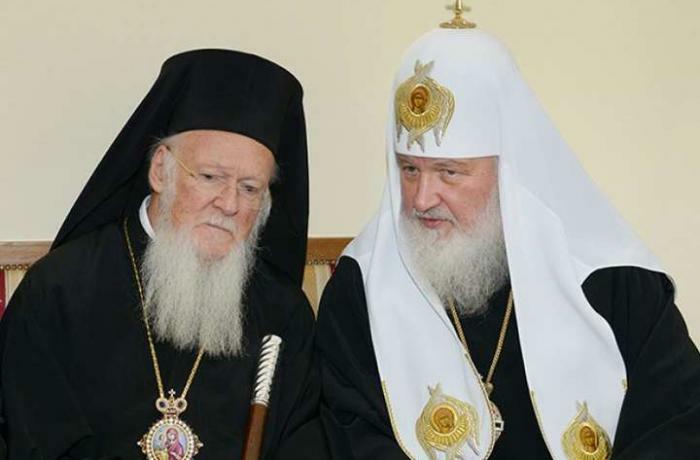 Just on the eve of Kirill's visit to the Phanar, with a rather harsh letter, the Serbian Patriarch Irineos invited Bartholomew to reflect that a possible grant of autocephaly to the Ukrainian Church, demanded by Kiev's political power, would be a cause for schism Orthodox world. He immediately had to collect the response from various Orthodox circles, who reminded him that the Serbian Church had also received autocephaly following political pressure, and also reminded him that when in 1878 the Patriarchate of Constantinople had condemned the ethnophyletism, everyone still preferred to follow their own path. Certainly there will be various pressures and threats. Some speak of a schism in the orthodox context, such as that between Luther and Rome. But it is improbable: all this would be foreign to the Orthodox tradition, because it is not a dogmatic question, but an administrative question. Perhaps there will be a temporary break in communion. According to well-informed sources, Kiev will be granted concession and at the same time it will allow Moscow to keep under 10 million Russian-speakers under its own jurisdiction, to save face. A great Greek thinker of the 1970s, Gabriele Arnellos, profound connoisseur of the Christian world and convinced ecumenist, affirms that the Church of Christ stopped in Jerusalem: afterwards it evolved into a secularized self-referential institution. For this reason, it has been incapable of developing the Gospel message, and has become an accomplice to and succubus of the strong powers of this world.